MTA Executive Director and Chief Executive Officer Elliot G. Sander and Chairman H. Dale Hemmerdinger today committed to giving straphangers and commuters a break and reducing the amount of the proposed fare and toll increase at a press conference with Governor Eliot Spitzer. 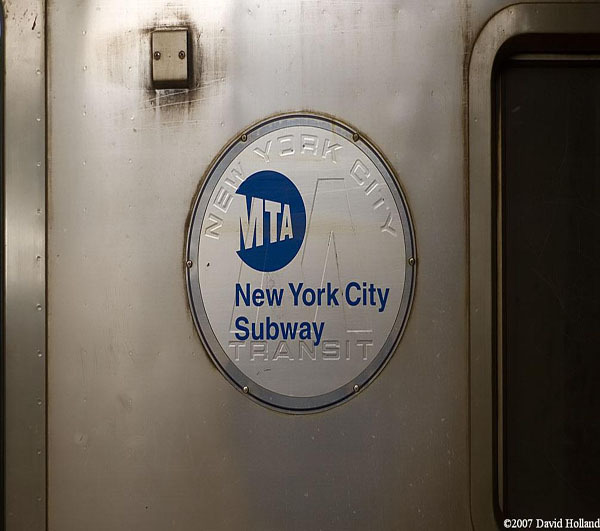 The announcement was prompted by feedback from public hearings and the arrival of updated budget forecasts, which added $220 million to the MTA’s year-end balance. Governor Spitzer expressed his support for the responsible long-term fiscal planning in the MTA’s financial plan, but also urged the MTA to ease the burden on its riders. The MTA committed to revising its fare proposal to hold the $2.00 base fare for subway and bus riders and return the full $220 million to MTA customers over a two year period. “The MTA’s long-term fiscal picture remains difficult, but right now riders are facing tough financial times and I am pleased that the MTA has agreed to reduce the increase,” Governor Spitzer said. The MTA announced that it would reduce its proposed 6.5 percent fare and toll increase to return the entire $220 million to riders over the next two years, shared proportionately across the MTA’s operating agencies. The reduction will allow the MTA to hold the base fare for subway and bus riders at $2.00. MTA Chairman H. Dale Hemmerdinger joined the Governor and Sander in the announcement, and pledged to work with the Board to reach a conclusion in December. Now this might seem like fantastic news but as usual one must look at the whole story. While the base fares will stay at $2.00, who really benefits from them doing so? The facts are clear, 86% of riders do not pay per ride so in reality the base fares staying the same only benefit 14% of riders with most of those numbers being tourists who don’t know any better about the discounts available. The reality here is that this change of heart so to speak reeks of a PR stunt more than anything else. Riders such as myself who mainly buy unlimited cards will still be forking over extra cash to acquire these products. Commuter rail customers will still see some sort of a fare increase as well. While details have yet to come out as to what provisions of the proposed fare hike will still take place, we can rest assure that a majority of riders will still have their wallets become lighter. As far as where the change of heart is coming from, there are different ways to look at it. We now know the MTA has discovered a windfall of $220 million dollars due to fare box revenue, real estate taxes, underspending, & better management of debt service costs. Another part to this might be that Gov. Spitzer did some back room politicking to come to a deal that would benefit all parties. Lastly a big theory going around is that Gov. Spitzer’s sudden charge to pretty much demand the base fares stay the same results from him wanting to rescue his lagging poll numbers. If you believe the MTA, then you believe the public hearings played a huge part in it. As far as I’m concerned, I would not be surprised if it was a little bit of everything. As much as I like Gov. Spitzer & think he is the right man to turn New York around, I do think his timing reeks of a PR stunt. The public hearings probably played the smallest role in the situation & the MTA probably got sweet talked into this. Either way it is clear that while this sudden change looks good in the headlines, it really isn’t that good when you think about it. I admit, I do not want to shell out more money for an unlimited monthly card. However I would be open to doing so if it meant our system would continue to improve in all facets. However this issue is bigger than just me or any one person for that matter. The state of our system is currently in much need of improvement which new leadership seems to want to truly fix. However where the money is going to come from is something that needs to be seriously looked at. While it is all nice that we have avoided the big boom from a fare hike, it is clear that something has to give. The MTA receiving an unexpected windfall of hundreds of millions of dollars can not be counted on as a sure thing every year. Such windfalls are not & will never be guaranteed like death & taxes. Lets also remember that a big factor in what will be a huge deficit in the coming years stems from the years of financial abuse the state of New York put on the MTA & all commuters. Year after year we as a collective whole got shafted for millions if not billions of dollars in aid that we rightfully deserved. There will come a time & place where rallying the troops against a fare hike will be nothing more than an exercise in futility. Instead of celebrating a faux rescue, commuters should be out demanding that their elected officials get what the MTA & we as the riding public deserve as far as funding goes. Lets not use this faux rescue as a time to celebrate but instead lets use this time as a launch point to fight for the great mass transit system we truly deserve!